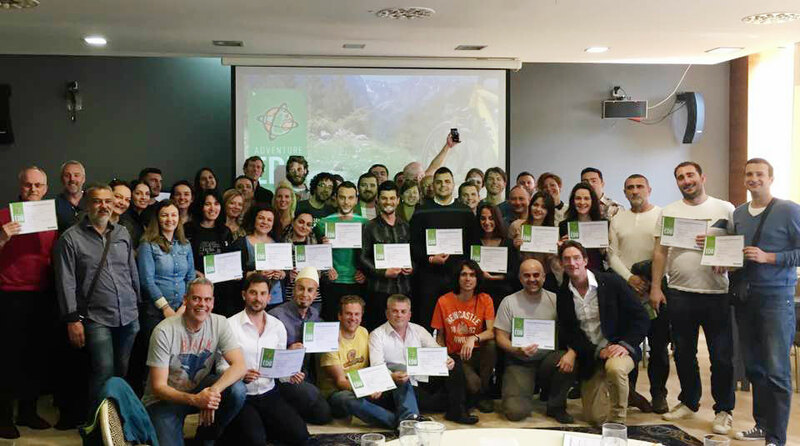 On 28-30 March 2017, the Adventure Travel Trade Association (ATTA) held its tenth AdventureEDU training program in Southeast Europe since 2013 in Sarajevo, Bosnia and Herzegovina. During this recent training in the Balkans, the focus centered on safety and risk management, product development, and marketing strategies and tactics. 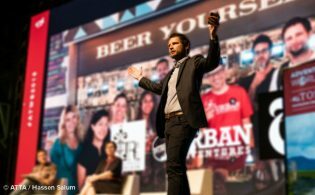 Participants at the recent AdventureEDU training demonstrated an increased level of business sophistication. Representatives from 54 public and private organizations from Serbia, Bosnia and Herzegovina, Montenegro, Kosovo, Macedonia, and Albania participated in the AdventureEDU training, including adventure travel business owners, tourism board representatives, guides, tour agents, and adventure outfitters (including those from biking and rafting companies). 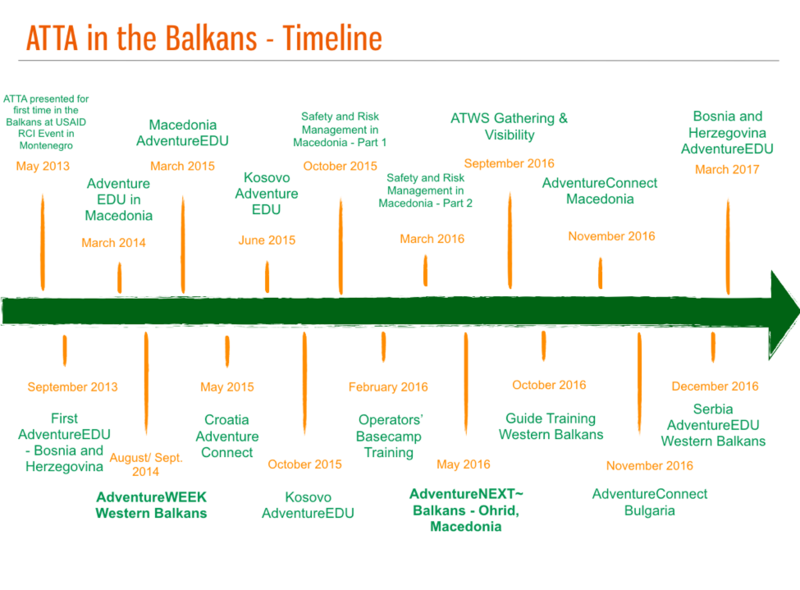 Some were past AdventureEDU participants and others participated in either or both the 2014 AdventureWeek held in the Western Balkans (featuring Albania, Kosovo, and Macedonia) and 2016 AdventureNEXT held in Macedonia. This latest AdventureEDU training offered additional continuity and relationship-building opportunities for programs and geographic regions. “Adventure travel in the region has reached a new level. For some period, many mom-and-pop operators had been struggling to put together and maintain their operators … It’s pleasing to see that, over time, the region has had several leaders emerge, especially here in Bosnia and Herzegovina, which, for me, means a lot, as I am based in Sarajevo,” said Snjezana Derviskadic, tourism team leader for the USAID Regional Economic Growth (REG) Project (implemented by SEGURA Consulting LLC). 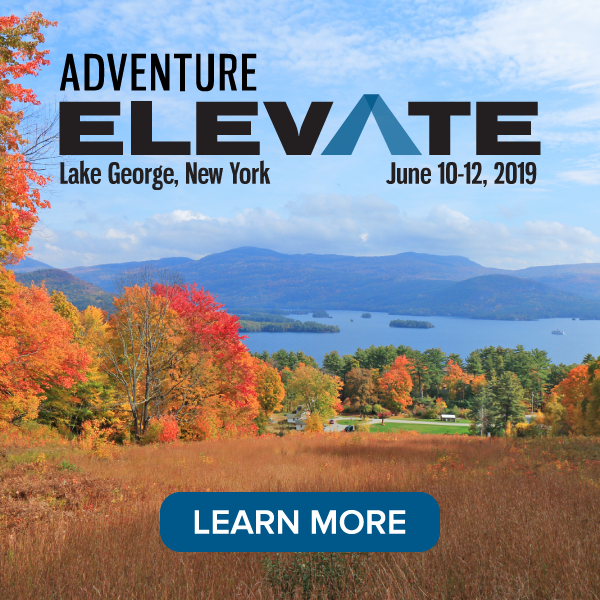 Additionally, AdventureEDU facilitators and instructors have noted professional progress based on the increasingly sophisticated questions, depth of understanding, and pursuit of more creative approaches to delivering safe, quality experiences for a new generation of adventure travelers. Further evidence emerged from the March training in Sarajevo that the region’s investment is paying off, not simply through the precedent-setting volume and quality of global media coverage this past year highlighting the Balkans as an attractive adventure tourism destination, but also direct reports of new itineraries and experiences being offered through international outbound operators, an increasing number of sold-out departures, and new intra-regional and international B2B partnerships solidified. 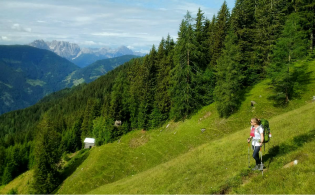 Additionally, AdventureEDU facilitators and instructors have noted professional progress based on the increasingly sophisticated questions, depth of understanding, and pursuit of more creative approaches to delivering safe, quality experiences for a new generation of adventure travelers. 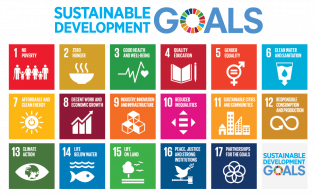 As participants have learned to appreciate the value of collaboration, there has been greater willingness for both public and private sectors to reach across borders to partner and work together, developing products and establishing local economies beyond political processes. This occurs despite the persistent shadows of years of conflict between destinations in the Western Balkans. According to Dragisa Mijacic, director of Outdoor In of Kosovo, who completed the 2.5-day training program, “I have to emphasize that this project has a strong reconciliation and inter-ethnic communication component, which is very important for the Kosovo context, and we are sure the Austrian government will love to see that Serbian- and Albanian-led companies cooperate together.” Another AdventureEDU participant, Al-Ben Kola, an independent adventure guide in Albania, also conveyed that, though tensions persist, through careful community-building work, he’s seeing an increased openness to work across borders, something he indicated just wasn’t possible only a few years ago.